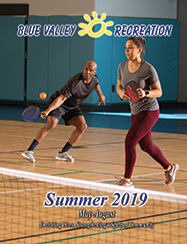 Recreational and educational programs offered by the Blue Valley Recreation Commission are supported by user fees paid by program participants. Blue Valley families meeting certain income guidelines may be eligible for scholarship assistance for their children ages 18 and younger. Scholarships are awarded based on annual household income and the number of people in the household. The funds are available from July 1 to mid-June of the following year. We apply the same financial guidelines used by the Blue Valley School District to qualify students for the Free and Reduced Lunch Program. If your child has qualified for that program at school, please submit a copy of the notification letter with your scholarship application. If not relevant, applicants are asked to submit financial documentation with the completed Scholarship Application form. Awards range from $50-$500 per qualified child. Once approved, funds are available for parents to utilize for sports leagues and camps, dance/aquatic/gymnastic classes, arts and crafts, special events, summer camps, youth membership to the Rec Center, and much more. Scholarship funds may not be used for the rental of BVC facilities including birthday parties. The scholarship funds will cover 50% of the program fee, and approved applicants are asked to pay the remaining 50%. The initial scholarship application must be submitted at least seven (7) business days prior to registering for a class or program. Applicants will be contacted by phone or email as to the decision to award scholarship credits. Once approved and funds posted, scholarship recipients may enroll Monday-Friday, between the hours of 8am-4:30pm. Registration can be by phone (for all non-sports activities) or in person at the Activity Center and Recreation Center.